Silicon Valley giant Intel on Wednesday announced plans for a fleet of self-driving cars following its completion of the purchase of Israeli autonomous technology firm Mobileye. A day after closing the $15 billion deal to buy Mobileye, which specializes in driver-assistance systems, Intel said it will begin rolling out fully autonomous vehicles later this year for testing in Europe, Israel, and the US. The fleet will eventually have more than 100 vehicles, according to Intel. The testing in real-world conditions "provides immediate feedback and will accelerate delivery of technologies and solutions for highly and fully autonomous vehicles," said Mobileye co-founder Amnon Shashua, who is to run the unit for Intel. "Our goal is to develop autonomous vehicle technology that can be deployed anywhere." 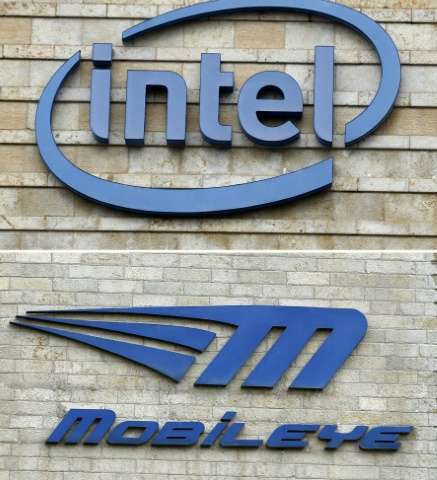 The Intel test fleet with include various types and makes of vehicles, and capitalize on Mobileye's expertise in computer vision, mapping and sensing. Intel, which has been expanding beyond its core of computer chipmaking, is keen for its technology to be an engine powering self-driving systems across the spectrum of vehicle makers. "We want to enable automakers to deliver driverless cars faster while reducing costs," Shashua said. Intel said the vehicles would offer "level 4" autonomy, which under industry standards represents a "high" level of autonomy just below the fully automated level 5. Most major automakers and several other technology firms have been stepping up efforts on autonomous driving in recent years, contending these systems will eliminate the vast majority of road accidents. Apple has a testing permit in California. German luxury carmaker Daimler and auto parts supplier Bosch have announced plans to work together to create completely driverless cars in the next few years. US-based Tesla boasts that all its models are built with the hardware for self-driving in event regulators give the technology a green light. US car rental giant Avis Budget earlier this year announced it will team up with Waymo on the self-driving cars being tested on Arizona roads. You had such a promise in self-driving cars, but now it is over. Join the BlackBerry.